Botzen is famous for Ötzi, also called the icema, and they are showing the old dead body in a special museum, but expect the museum to be very crowded. The building is not very huge and I think that is the unique selling point, we would have to wait for an hour and is about 9 € per adult (August 2014). A visit to the museum takes about 1-2 hours. The interior of the museum is easily accessible to disabled people. So it is up to you if you want to wait. The mumy was found 1991 in the Ötztal alps and scientiests assume that he was living around 3300 before christus. Funny fact: he was found by two german tourists, so if you walking around in the alps, watch carefully, you might find Ötzi 2.0. 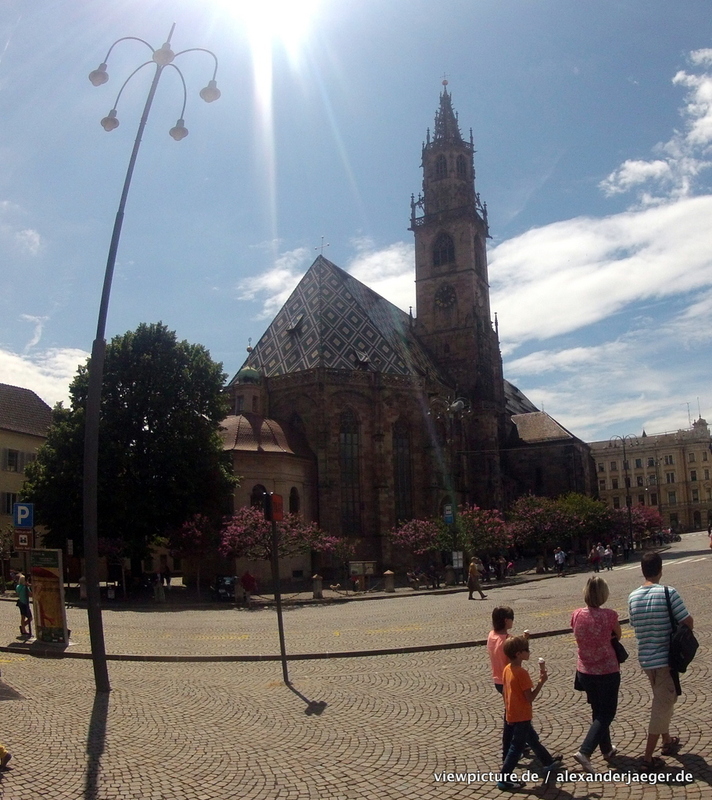 Besides the museum, Balzano has some nice churches and older buildings that could be worth to check out. The pedestrian zone is very very nice, lots of small shops with unique stuff (but also the big brands have their space), and you should save around two hours to give it a look. Here is a new feature, an OpenStreetMap with most of the spots mentioned in the Blogpost. 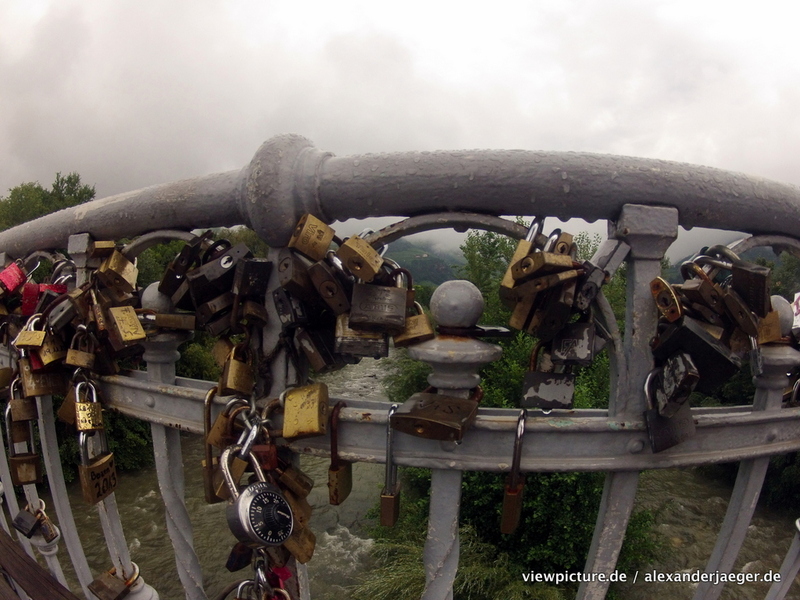 Dieser Eintrag wurde veröffentlicht in Travel und verschlagwortet mit balzano, bozen, italien, italy, lock, love, ötzi, travel von Alex. Permanenter Link zum Eintrag.